This math / art activity is inspired by Classroom Magic's transforming goldfish! 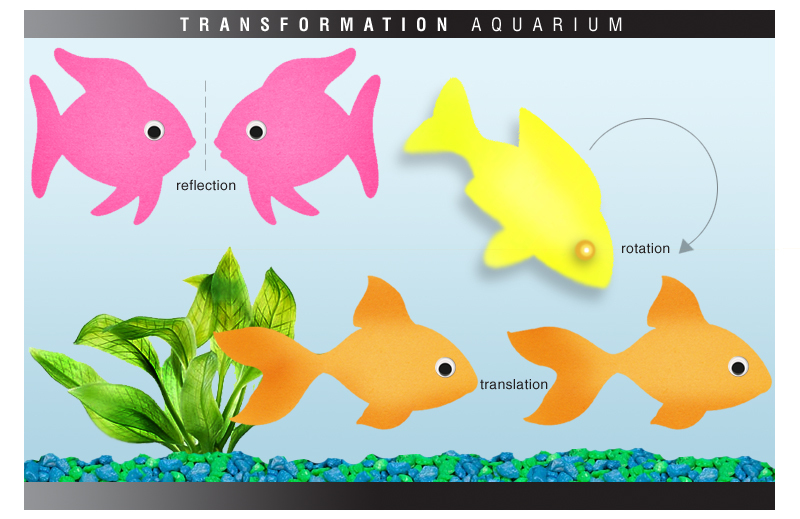 Kids learn about transformations by creating a mini paper aquarium! Kids cut out and decorate fish that represent each transformation! To incorporate even more math into this project, have kids "purchase" items for their aquarium. Kids "buy" pebbles, plants, and fish! Click here for a printable!